Back in 2005/2006, I had been cycling quite a bit. I was mountain biking and road biking, both. Probably I was on the dirt a bit more. But, I logged a lot miles, either way. It began when I realized I was over 200 lbs. and I just felt weak. Actually, that’s not true. What happened was I was teaching a Drama class and we were working on Improv. In an improvised scene, anything can happen. And, since the students always wanted me to act with them, I was in the scene. It seemed that every class had one or two kids that lacked a mental filter to keep them from saying something awful. I was on stage with one of those kids. I don’t remember her name, but I remember that she had an awful childhood, full of moving from city to city, mom going to jail, dad not in the picture, low income, that kinda stuff. I don’t think either parent were really there for her. But, she loved Drama, even though she had an attitude and a mouth on her. This day, she and I were arguing in the scene. She let it get personal and said something like, “Are you six months pregnant or something?” to me. I didn’t let it show, but it really bothered me. 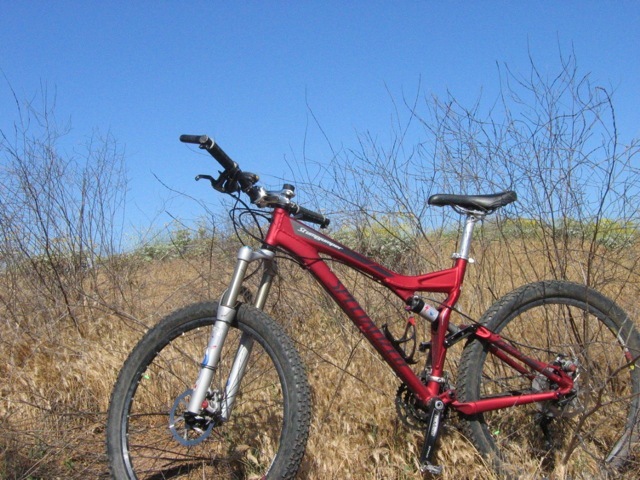 So, I got my dusty old hard-tail mountain bike out of the garage and started riding. I rode up Beech from Baseline to Summit. That’s 3 miles and uphill. Not terribly steep, but it’s up. I swear, I thought I was gonna die. I was struggling to go 3 miles an hour, as if I was climbing some peak in The Pyrenees. But, I knew this had to be done. I had always enjoyed riding bikes and got into it now and then. I hadn’t really ridden in five years or more at that point. Athletically, I’m not very big, although, compared to Jaquizz Rodgers, Reggie Bush, or Maurice Jones Drew, I’m tall enough to be a running back. In any case, I was never much good at most sports. I tried playing basketball (ha ha!) and soccer in high school, but only was good at Cross Country running. I wasn’t fast, but I always finished. When our team trained by running 10 miles in the Glendora hills, I recall the coaches remarking that, unlike several others, I had finished the run instead of quitting. So, I rode my bike. I made a goal to ride 3 times a week, at least 45 minutes each time. I held to the goal and eventually started losing weight. I bought a real mountain bike, a full-suspension model, and started riding local trails. I hooked up with new friends via http://www.socaltrailriders.org. They were faster and stronger. So, I trained more. I increased the distance I could ride. I found that dirt miles were harder because of the difficulty of the terrain. It seemed like 5 miles on the dirt felt like 15 on the road. I started riding my bike to work. This made a huge difference. I was riding further and faster all the time. My friends took me on the trails in the Angeles forest. I got tired of having people wait for me all the time, so, I pushed myself even more. Weekends were long rides, weekdays, training, riding hard to and from work. Where once I was going uphill at 3 miles an hour, now I was going 15 miles an hour, uphill, carrying a change of clothes and my work laptop. I got a bike trailer and towed my kids with it. At the peak, I was able to ride a full century (100 miles) or 30 miles on the dirt. I rode the Amtrak Century from Irvine to San Diego. That was amazing! I remember finishing the ride with a lap around Sea World and couldn’t believe I did that! 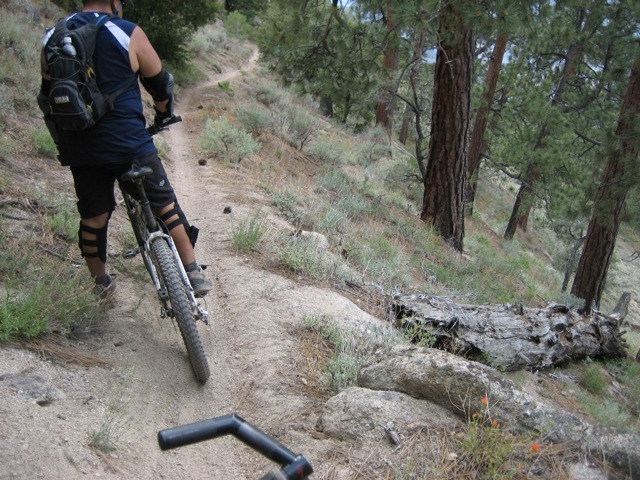 I also rode The Cannell Plunge which was about 25 miles of very challenging trail. Heck, I did it twice, and it was much easier the second time around! People weren’t waiting for me any more. I wasn’t the fastest, but I wasn’t the slowest. I had to wait for other people. It was nice. So, what happened? Well, the short version is I got divorced. For one thing, it took a lot of emotional energy to deal with the divorce. It sucked because cycling is something that helped me a lot during hard times. In fact, the day after my ex-wife told me she hated being married to me and that she was only staying with me because we had kids (that was a pretty big shock to me as I had thought we were in love — oh and that’s an awful reason to stay married, by the way) I had taken a long mountain bike ride by myself into the hills above Lytle Creek. I was devastated, occasionally sobbing aloud, but also soothed by the dirt, the wind, the trees, and the rustle in the bushes. I often had seen red-tailed hawks riding the currents during my rides and today I found one keeping me company. A mile up the trail, a single hawk feather lay in the trail center. I picked it up and kept it. It seemed, at the time, as if even the hawk wanted me to feel better. But, the divorce was nasty and consumed great amounts of time and money, far more than was necessary. I rode less. On the days I had my kids, I didn’t want to ride so I could spend time with them, be there for them. And, on the other days, I felt to tired to put miles in. I would ride now and then, sporadically, but not enough. My job at work made it tough to ride there anymore. I needed a car, also, to pick up the kids from day care or from their mother. So, bicycle commuting made less sense. Recently, I found that my weight was up again. It wasn’t a news flash. But, once I hit 197, I knew something had to be done. I was using the elliptical but it was boring and I wasn’t doing it enough. I was eating too much. And my bikes were gathering dust. 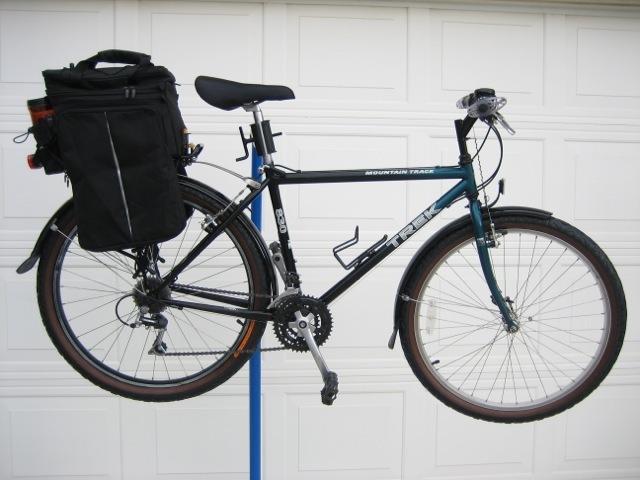 I pulled out my old commuting bike, my first mountain bike now outfitted with fenders and a rear rack, and I went riding again. So, for a month or so now, I’ve been riding again. 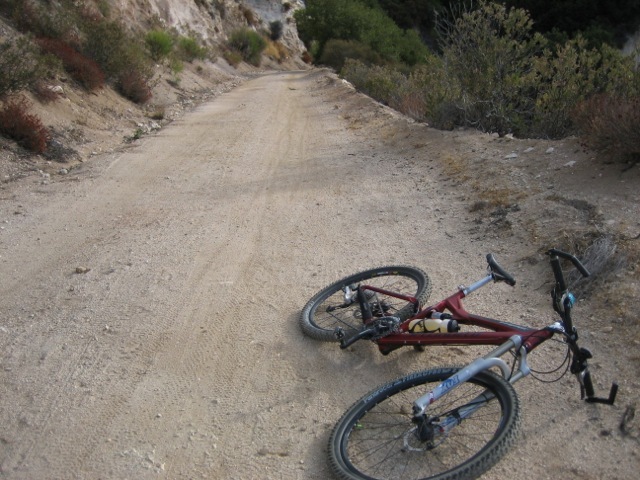 I have been riding to work and back, hooked up with my old friend Mike to ride some dirt, too. I made a goal. I’m going to be able to ride a century again by November. I signed up for the Highlander Century as part of the Tour de Foothills. I think I can do it. I am going to be riding as often as possible. I’m planning to ride to work again, and to do longer rides on the weekends. 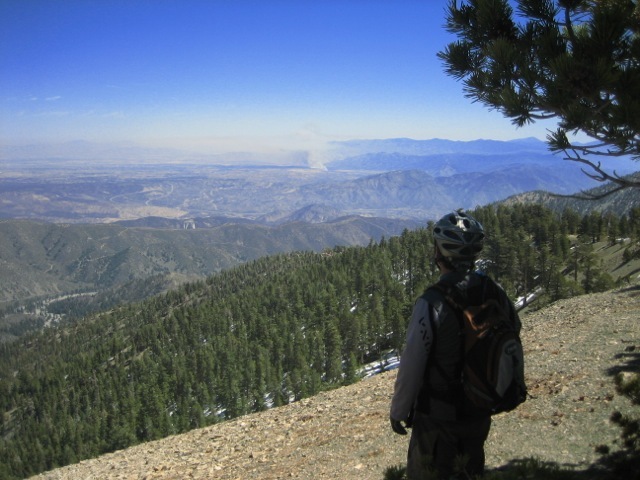 I want to ride the Palm Springs century, and hopefully the Death Valley century, too. Riding has been going okay. I didn’t lose as much as I feared I did. My legs are coming back and I rode with the Cycling Connection on Saturday. I wasn’t terribly fast, but I completed 43 miles and didn’t feel too bad afterwards. I can average 13 miles an hour coming home from work, which is pretty good. If I try, I can make the round trip to and from work in an hour and two minutes. That’s pretty good for now. I really like cycling. 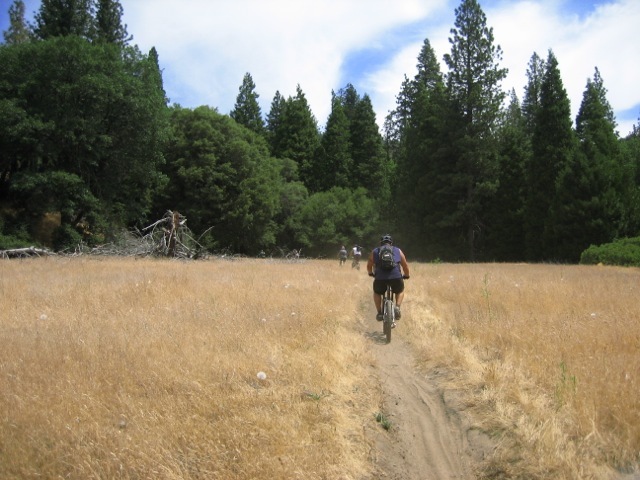 I like the feeling of doing something that not everyone can or will do, whether it’s riding 100 miles at once or riding a dirt trail that is too challenging. I like the feeling of the wind in my face, my legs pushing the pedals, and feeling that power translating out the back wheel. I like seeing the city from two wheels. I like the endorphin high you get during and after the ride, when all feels right with the world. I like the simplicity of the bicycle, a machine unrivaled in its efficiency. I like riding a bike around. I have even been teaching myself to work on the bike. So far, I have overhauled hubs, overhauled the rear shock on my mountain bike, trued my wheels, cleaned and lubed my chains, changed tires and tubes, changed seats, adjusted my deraileurs, and so on. It’s not much but I’m getting there. So, this week, I will be riding to work Monday through Thursday. I will probably take Friday off, but I’m planning to ride again on Saturday, hopeful a long ride with the Cycling Connection. I’ll let you know how it goes. Previous PostGarage workspace improvementNext PostDoes a knee brace look pro?